A delicious and versatile ingredient I know can’t miss with when dinnertime preparation rolls around is, Hillshire Farm beef smoked sausage. Everyone in my family loves the tender, beefy, smoky flavor. Plus it’s cleaner and easier to work with than chicken, and it’s a can’t miss solution for an easy, fast and super tasty weeknight supper. 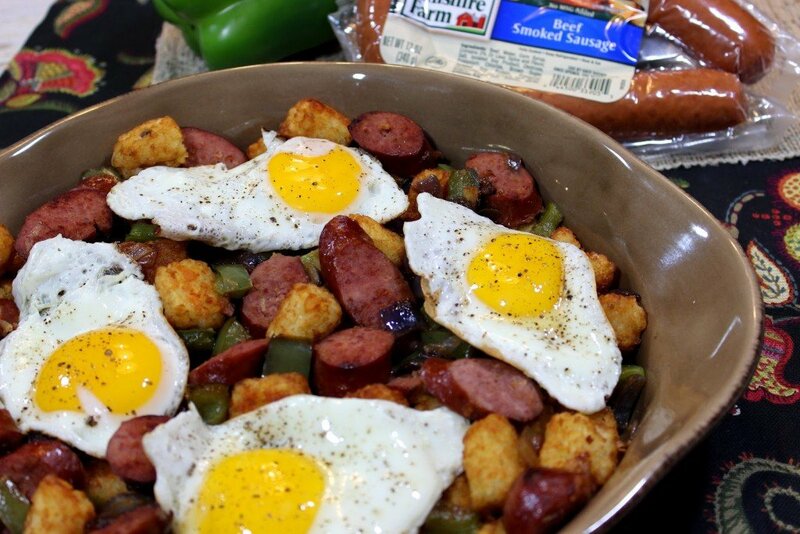 So it just seemed to me like a no-brainer to combine beef smoked sausage and tater tots, and then top them with eggs (because everything is better when topped with eggs). To add a bit more of a zip to my dish, I sauteed some green pepper and onion and added them into the mix. However, if you’re not a fan of those ingredients, they’re totally optional, and you can leave them out. The result is what I’m calling Beef Smoked Sausage and Tater Tot Casserole. Simple and to the point. 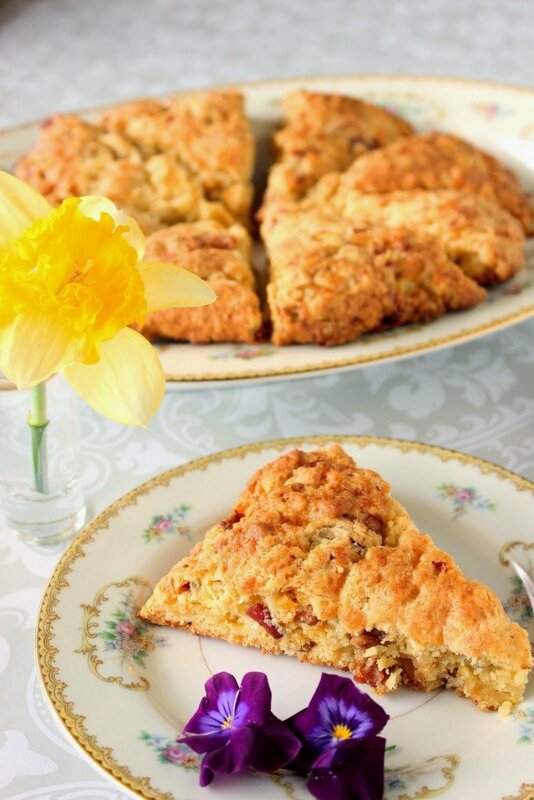 It’s one of those fabulous dishes that can do triple duty in your recipe repertoire. Breakfast, lunch or dinner. -Prepare tater tots according to package directions. Season with salt and pepper. -Meanwhile in a large stock pot over medium/high heat, brown the sausage stirring occasionally. 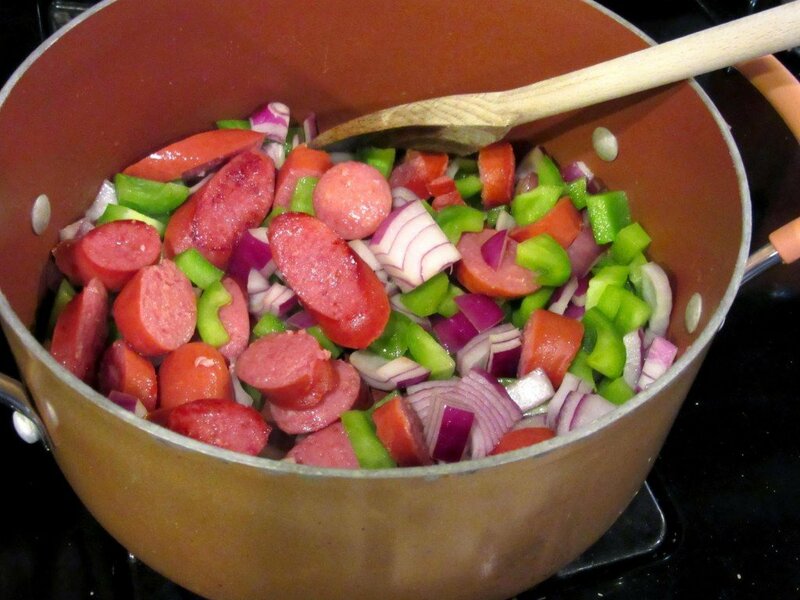 If using, stir in the green bell pepper and onion. Saute an additional 3-4 minutes until the vegetables are tender. 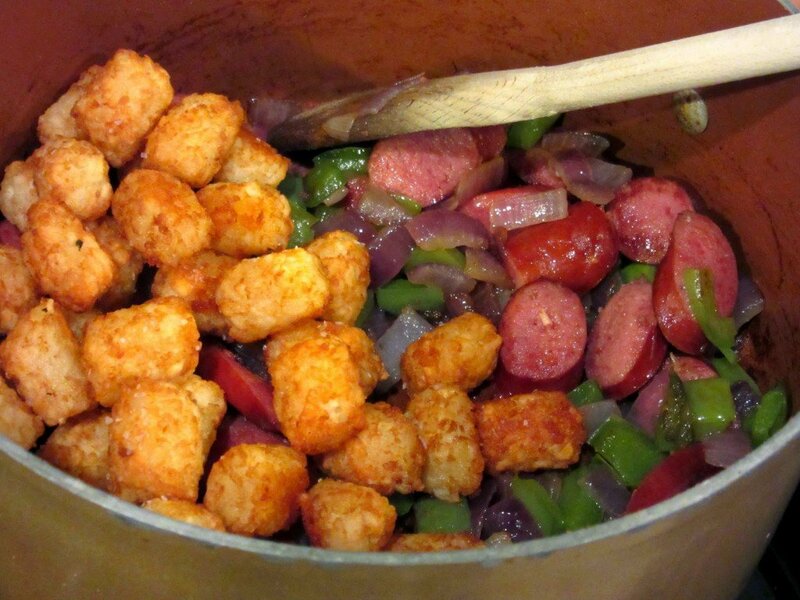 -Add the cooked tater tots into the pot with the sausage and stir gently to combine. 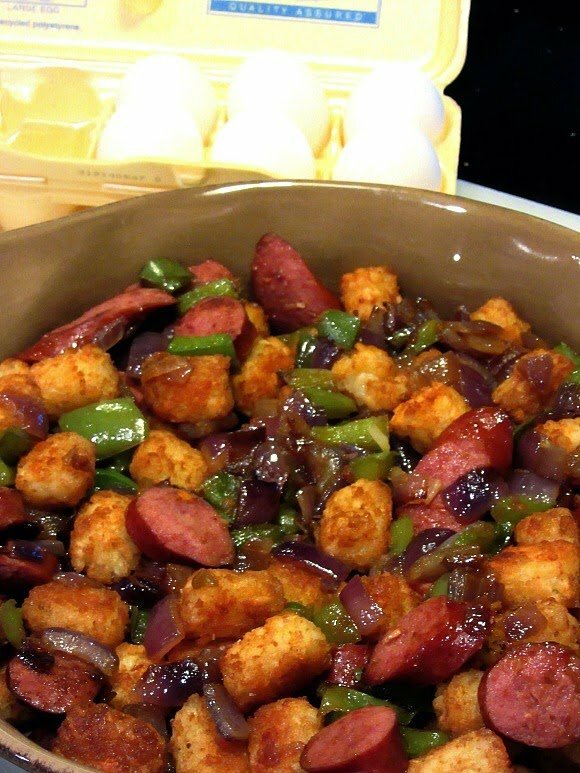 Pour the sausage and tater tots into a 4 quart casserole dish and top with shredded cheddar cheese if desired. 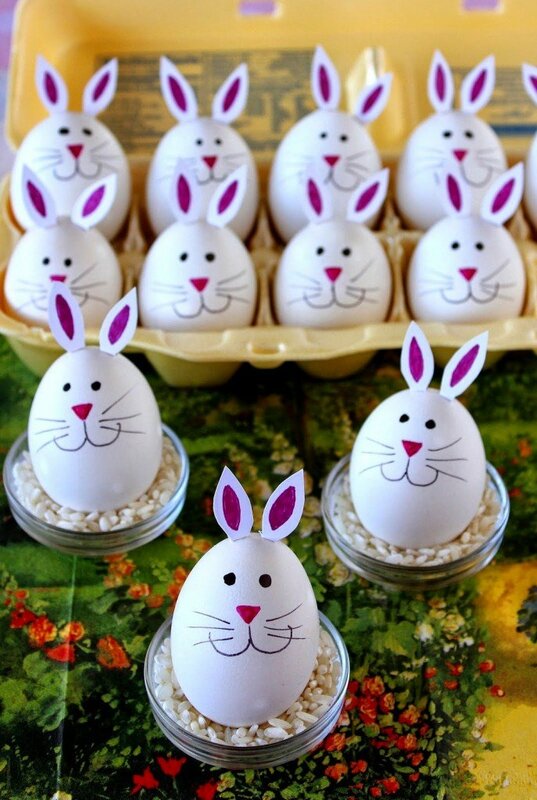 Place in the oven to keep warm while preparing the eggs. 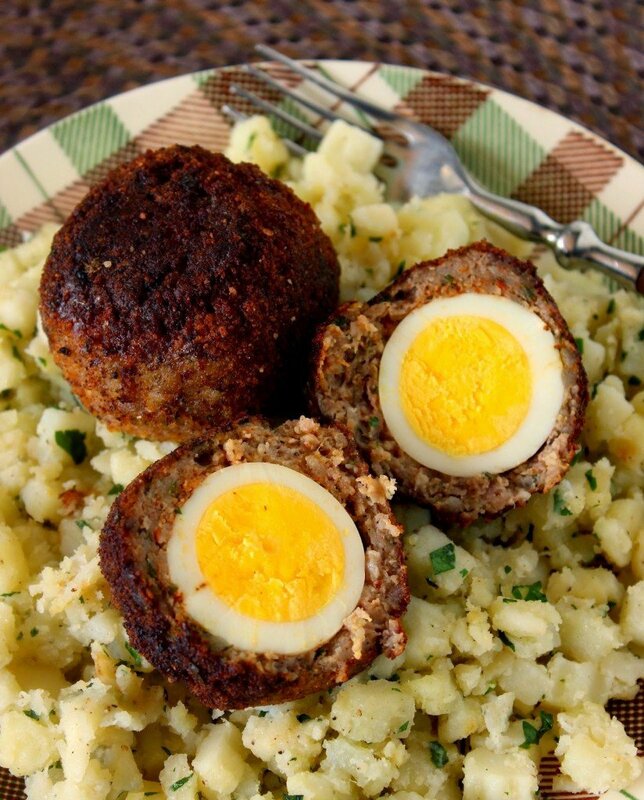 -Top the casserole with the over-easy eggs that have been seasoned with salt and pepper. Serve hot. This post has been sponsored by Hillshire Farm, but as always the opinions I’ve shared about the ingredients and products are strictly my own. #spon: I’m required to disclose a relationship between our site and Hillshire. This could include Hillshire providing us w/content, product, access or other forms of payment. If you love dipping your toast into the runny yolk of a sunny side up egg, just imagine a hot and crunchy tater tot dipped the same way. 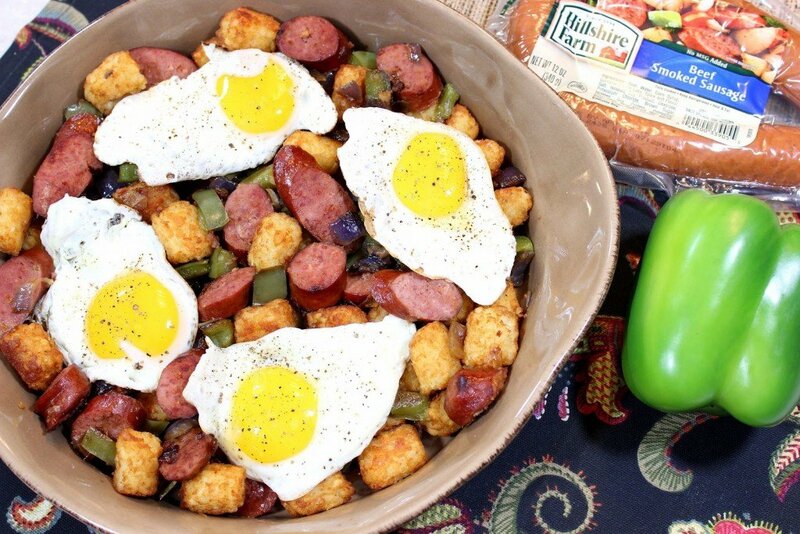 This Beef Smoked Sausage and Tater Tot Casserole is a meal that will win you unanimous thumbs up from your entire family (or maybe from just your significant other). Either way…it’s all good! Wowza! Who wouldn't love this?? This looks great and I love the "zip" you gave it!! 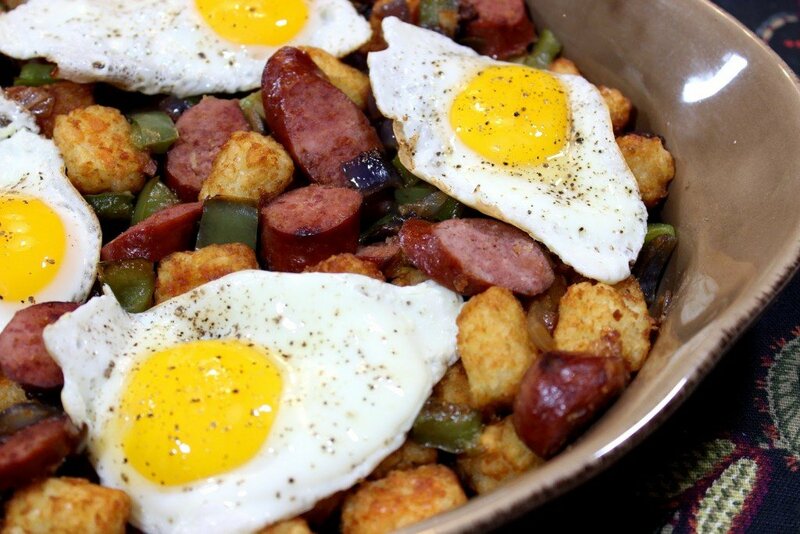 The eggs on top make this dish look just gorgeous. Your photos are so vibrant and colorful! 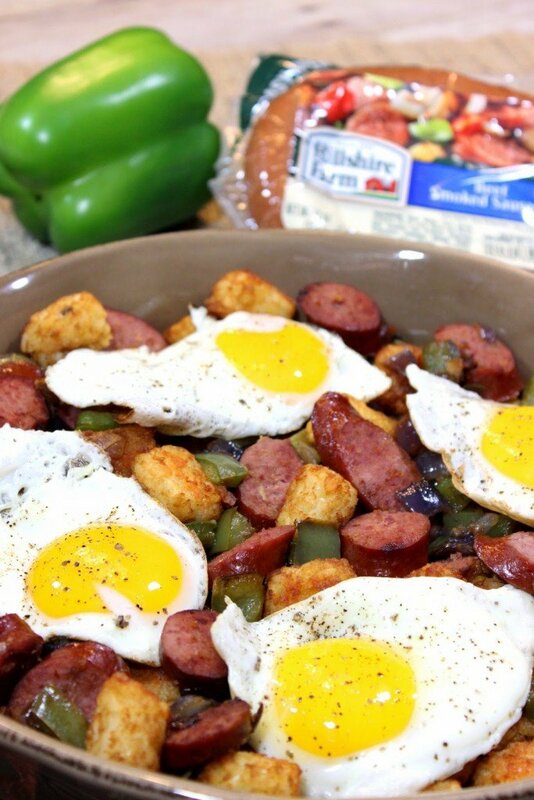 I love that its all in one pot and you could eat it for breakfast or dinner! Everything is indeed better with a soft fried egg on top. My family would flip for this casserole! This looks fantastic, I just added it to our menu for next week. 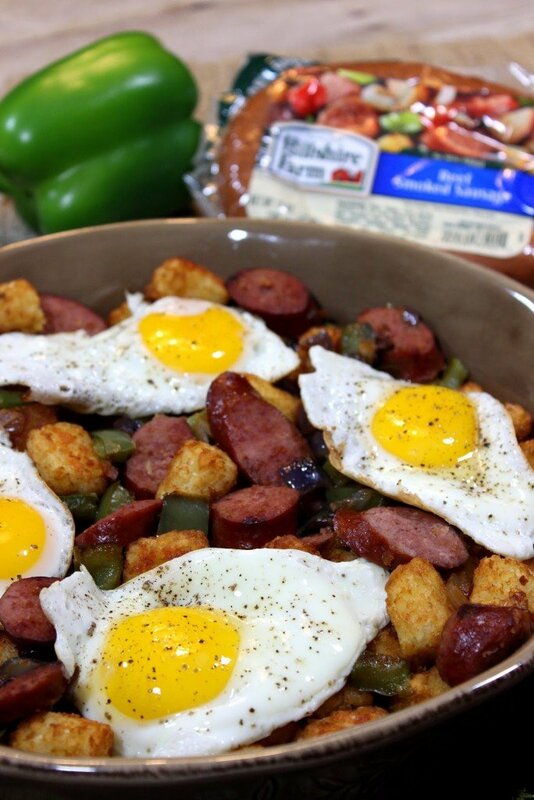 Tater tots and smoked sausage are a natural combo – and the addition of all the veggies and a runny egg is nothing short of perfection. YUM! Now that looks like a great "stick to your ribs" kind of meal – perfect when you feel like something hearty on a chilly night. Such a fun dish! I love that you incorporated tater tots! Haven't had those in ages. 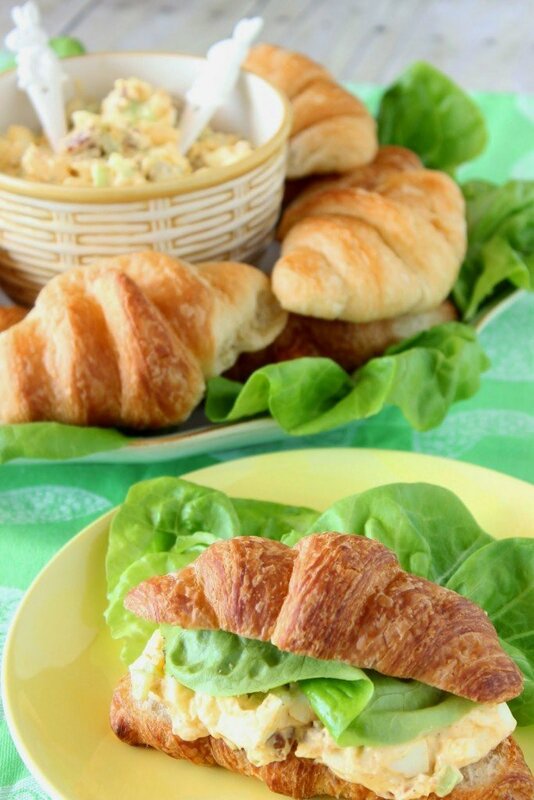 I need this to be my breakfast in the morning!! Ps. we LOVE Hillshire Farm here! Everything is better with an egg on top! What a fun dinner! I recently discovered that we love tater tots too. Smoked sausages are a staple in our house! Love this casserole! The photos are just fabulous! And the fall flavors lush. A magical post!